Come out and celebrate the 10th annual LongLeaf Festival and the 20th Anniversary of Harris Lake County Park! Outdoor enthusiasts will love this free festival celebrating the longleaf pine ecosystem. 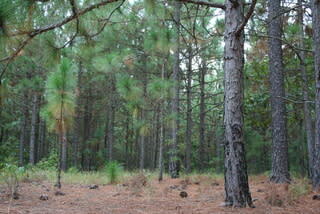 Get a ticket to ride the Longleaf Express through a beautiful, 60-acre longleaf forest. For kids (and adults! ), live birds of prey, reptiles and amphibians, plus games and crafts are on the schedule.